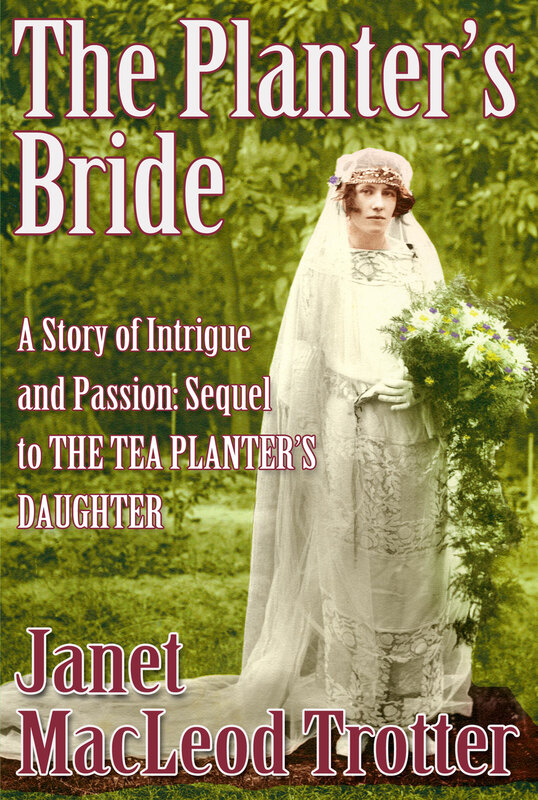 FREE ebooks of THE SECRETS OF THE TEA GARDEN on GOODREADS giveaway! THE TEA PLANTER’S TOUR – November 2018 – travel with an author! HAVE YOU EVER WANTED TO EXPLORE THE TEA GARDENS OF INDIA? OR VISIT FASCINATING HISTORIC KOLKATA (formerly CALCUTTA)? Then THE TEA PLANTER’S TOUR might just be for you! A specialist, small-group tour is being planned for next year, to experience North East India in a unique way – through travel and book readings. I’ve been asked to join the tour and give readings at different locations from my INDIA TEA SERIES to help conjure up the era of the British in India. From a sunset cruise on the Hooghly River at Kolkata … to a mountainous Darjeeling tea garden … to an elephant safari in Assam … this trip will be full of variety. The tour will be guided by expert India traveller, Chris Aldridge, who runs the specialist travel company ‘No News No Shoes‘. Chris will share her passion for the country and look after you well! TEA FOR THREE … and a HAPPY NEW YEAR! THE THREE INDIA TEA NOVELS are keeping each other company in the Amazon bestseller charts, as we go into the New Year …. If anyone is in Morpeth, Northumberland on SATURDAY 7th JUNE then come along to The Chantry Museum at 3pm for a trip back in time to 1920’s India! Unique cine footage that my forester grandfather filmed in the foothills of the Himalayas and never before shown in public will provide the backdrop to readings from the novel. Take a look at the taster clip showing my mum and uncle being transported in a basket on top of a mule along narrow mountain tracks! Tales of tigers, tennis and tea parties …. I’ll be talking about the real life experience of my grandparents in India who trekked into remote parts of the Himalayas – and how this inspired the latest novel in my India Tea Series.